The Country Wives were kind enough to publish this recipe on their website recently. When cooler temperatures and rain put paid to our barbecue plans on Sunday, I decided to make Navarin of Lamb, a delicious braise which uses a variety of spring vegetables. I didn’t have in my kitchen any of the baby turnips or carrots which are traditional but knew I could make the dish with what I did have, and the recipe below is the result. Use any good veg you can find, with this recipe as a guide. My sons gave me two cookery books for my birthday. My daugher-in-law looked a bit sceptical and asked if I was sure they were what I wanted (I do have quite a few already), but I assured her it was. I had dropped a few (many) hints in the run-up to my birthday. One of the books was Diana Henry’s new one, How to Eat a Peach, which is a beautiful collection of menus rather than recipes; it’s also a sort of memoir, an account of the places she’s travelled to since she was a teenager, and where she discovered all the dishes she loves to cook and eat. I have already cooked a few of the recipes from the book, although I haven’t yet put together a whole menu. The first thing I made was this braised pork, which I pounced on because I knew it would be perfect for the AGA simmering oven. I adjusted the quantities because there were only four of us eating and off I went. For the first time in the eleven years I’ve owned an Aga, the engineer who came to service mine last week was not able to carry out the work. 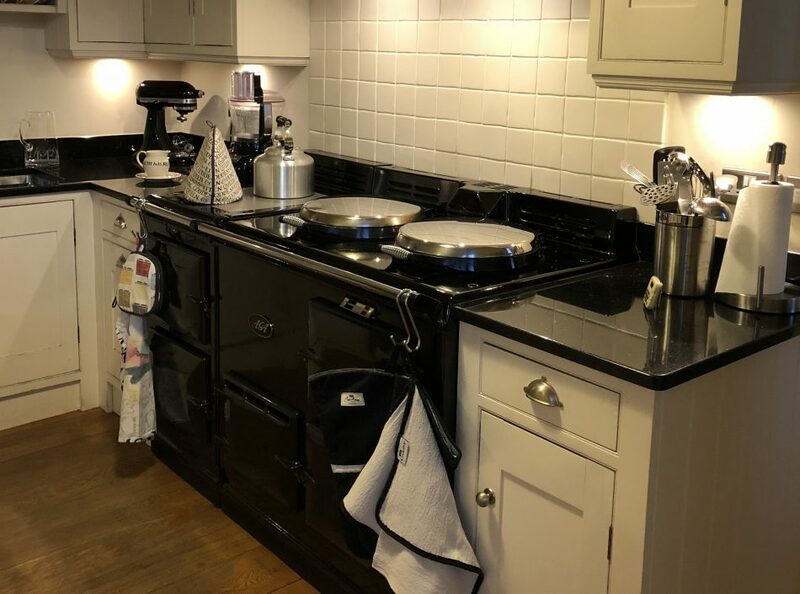 It was my fault: Aga advises owners to turn it off 24 hours before the service but I in my infinite wisdom thought the evening before would be soon enough, forgetting that this year’s appointment was at the early hour of 8am. I did not realise that it would not have cooled down enough by then for the engineer to work on. I am telling you this so that you can learn from my mistake. Another tip is to lift up the lids and open all the doors to help it cool down more quickly. If like me you have no other oven, you have to plan cold meals for when your Aga is switched off. (Mine takes about 5 hours to come back to full temperature; newer ones might be quicker; older ones possibly much slower.) I have the perfect recipe for such times, especially if it’s summer: ceviche. Ceviche is a South American dish of marinated raw fish or seafood. This one is ceviche de sierra by Diana Henry and is packed full of all the Mexican flavours I love, including chillies, lime and coriander.